Stop guessing why you are not turning visitors into customers! Book a time (free) to see what's wrong and how to fix it. 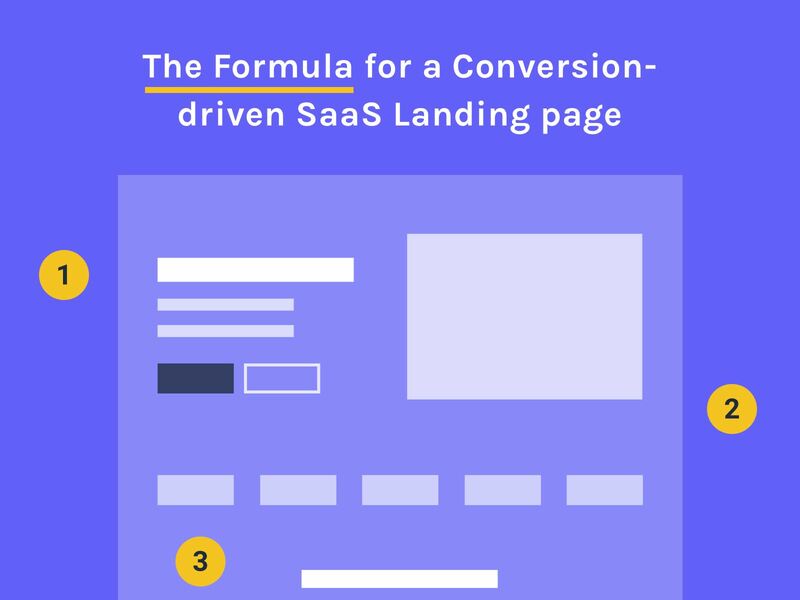 I’m so tired of seeing so many awesome startups losing a ton of leads by not having a proper way to convert visitors into demos. Why do they get such simple things so wrong? Fortunately, I’ll teach you step by step how to not be one of them. If you are using a high touch approach (especially if your product is high ticket) you can easily generate a ton of revenue by filling up sales people’s calendars with qualified leads. 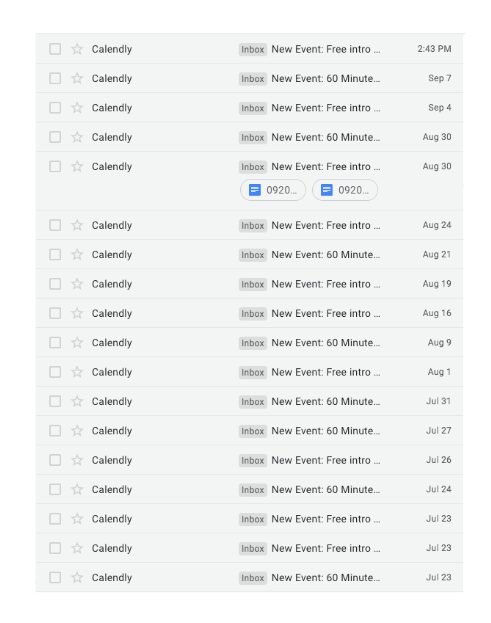 How can your startup get that many demos scheduled? 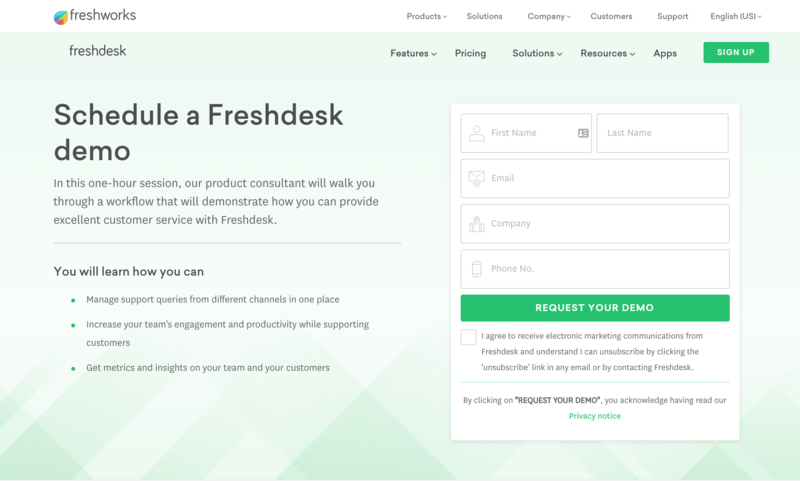 Well...If you have the right process and the right funnel it’s easily doable and you could generate a ton of revenue since you know that you could convert 25% of demo/sales calls (for example) into customers. I can already turn free cold traffic with these articles into thousands of dollars, so why shouldn’t you? 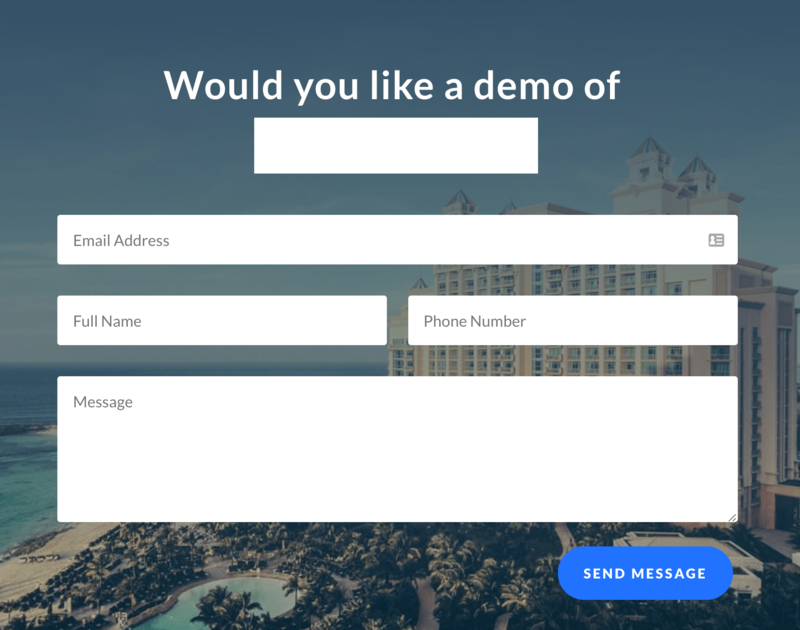 In this article, I will teach you the principles behind scheduling more demos along with simple tweaks you can use to increase your number of demos right now! Most people won’t be ready to give their time away to any of the dozens of random companies they come across today. 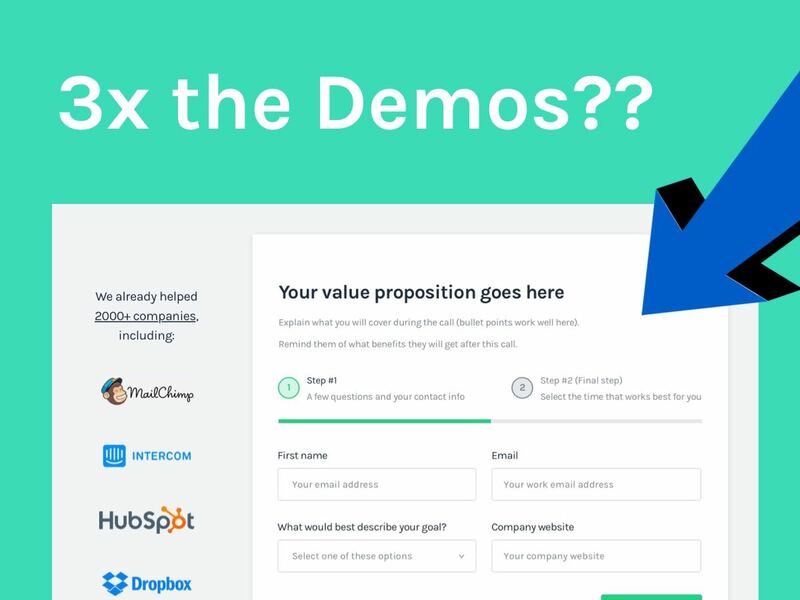 Thinking you can simply add a “Schedule a demo” CTA and have a ton of leads coming in it’s just not realistic. Sorry, that just doesn’t happen. Now that I broke your heart and you have the right expectations you will start to notice how you can possibly warm up your visitors so they can trust you to give you some of their time. Essentially you want to provide value first! It could be in a form of a training video, article, case study or whatever would be complementary to the solution you are offering. 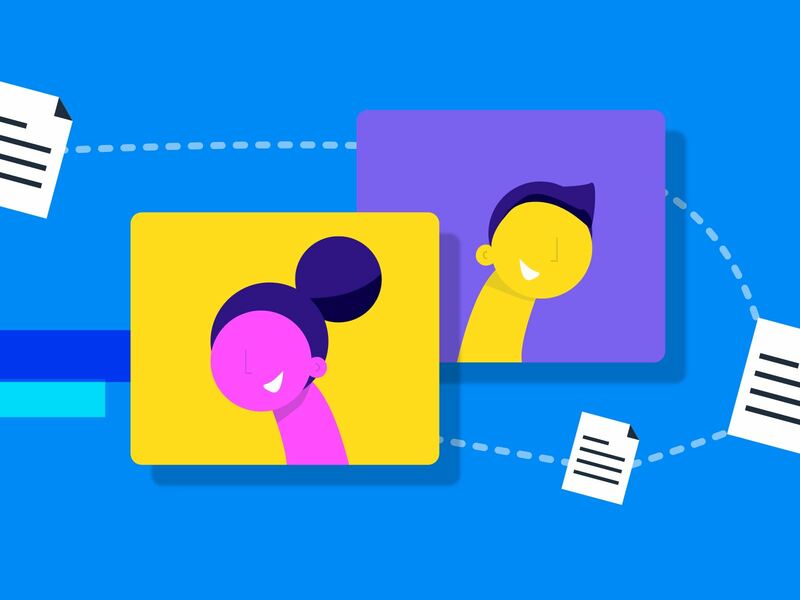 Figure out what type of content could make your visitors feel like you know what you are talking about or at least share with them some of your results and your process from previous customers. So for those who are not ready to convert right away create some lead magnets for them and use an email sequence to follow up with them and get them on the phone as I covered in the list of funnels from the article below. 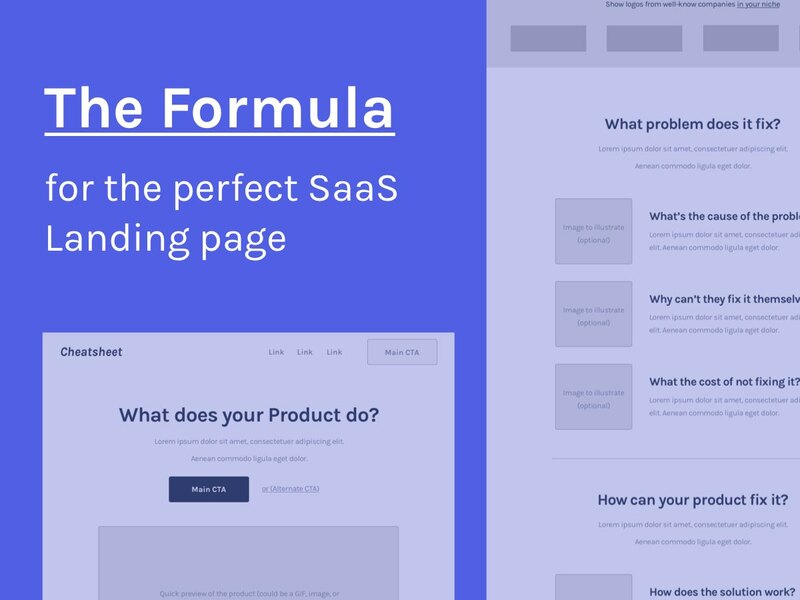 Related article: Dear Startups, you don’t need a Landing page you need a proper funnel! 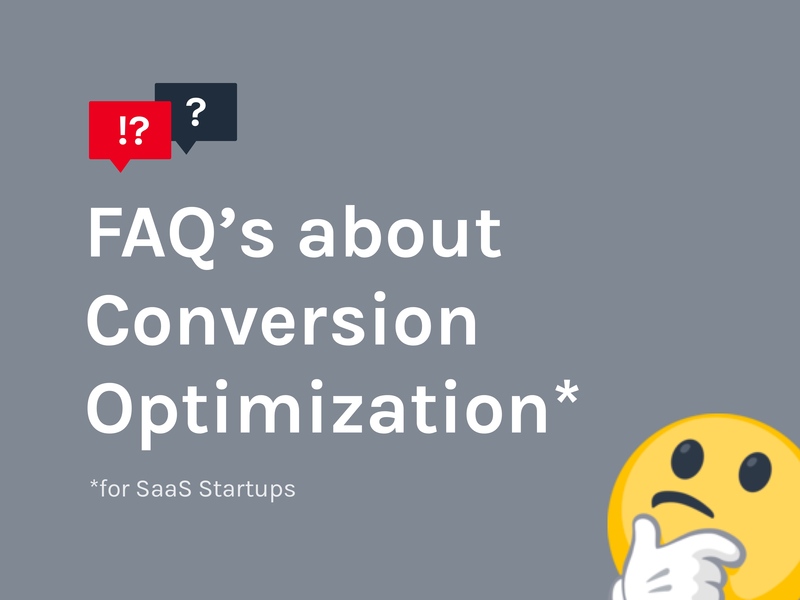 This way, you might be getting conversions higher up in the funnel but with a proper process you will be able to educate them on your solution and qualify them for a demo/sales call shortly after. 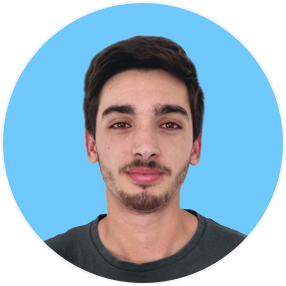 ‍Close - Steli (the founder) is pretty much viewed as the “sales/cold email guy” in the Startup world. He provides amazing content that when applied, can get you amazing results although you will need a CRM to manage all of the ongoing deals and guess what...That’s exactly what Close offers! They were able to explain how to fix a sales problem and let people realize that they can use his product to solve it, this way, they are converting people from lead magnets into customers later on. 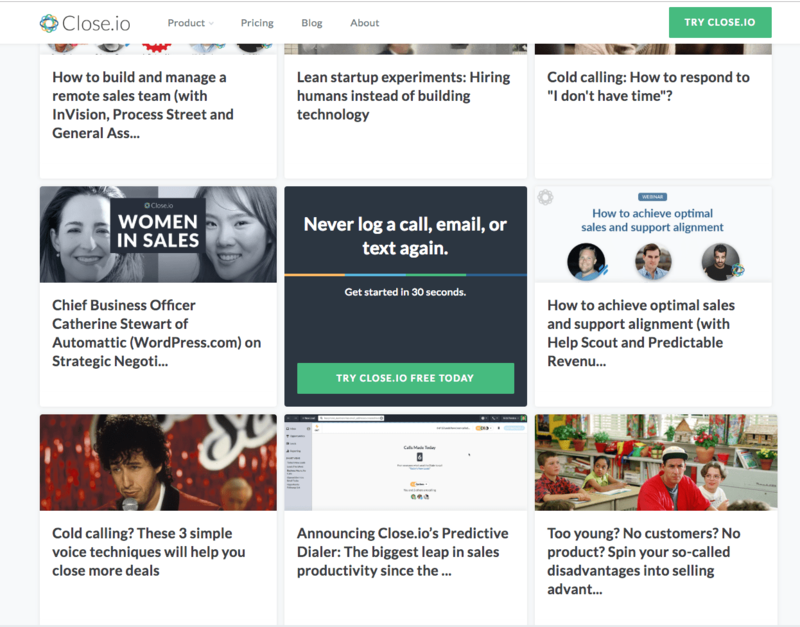 EmbedSocial enables you to check their success stories so you will be more likely to convert after you read them. I think the execution is great here and you should definitely use it as reference. 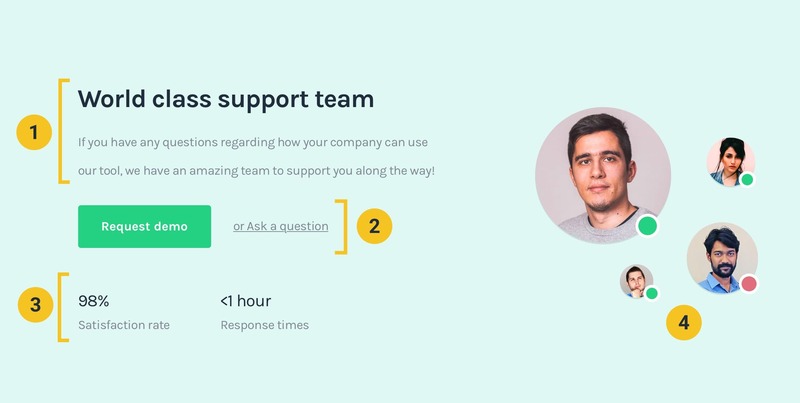 This is a more “sneaky” example as I used the demo as a secondary CTA and made sure the expectations is to answer any questions about the product and that we have a support team to do just that. Essentially people will feel they are not ready to convert so the demo would be a good way to answer their questions. They don’t know that this was on purpose so you could demos and convert them in the call. "Please complete the form and one of our experts will contact you as soon as possible." Why do companies keep doing this!? Things like “requesting” or saying “We’ll be in touch”...It’s like the customer needs to do all the work! You can simply embed Calendly on your website for free and let people select their own time. 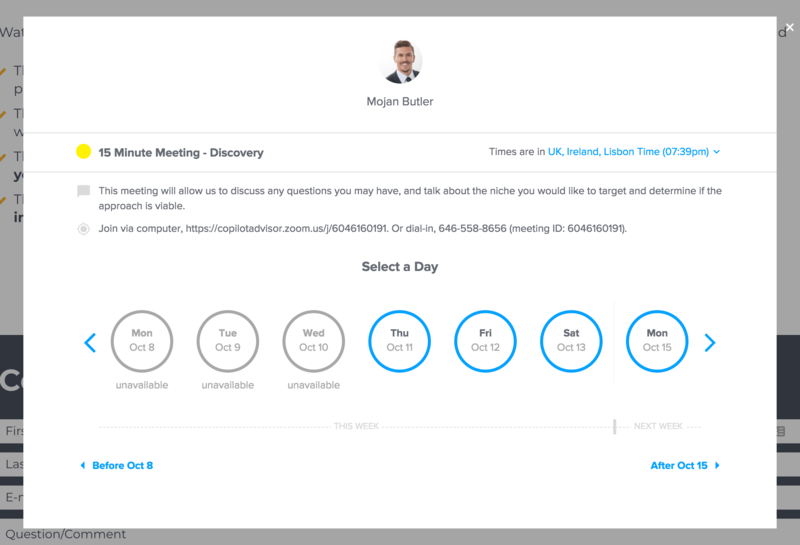 In this example, you can schedule a 15 min meeting with the sales guy on the fly and enables the company to learn even more about their prospects and still close them on the phone. Just put yourself in your potential customer shoes...Why should he/she schedule a call? What value and benefits would taking the call bring? Would it help them discover if you are a good fit? Or...Identify the cause of the problems they are having? 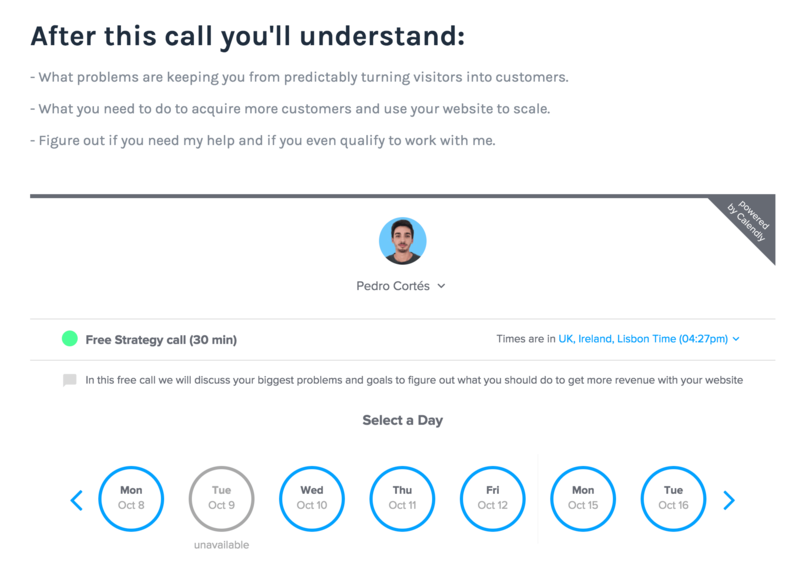 You 100% need to explain why they should schedule a call because if there are no benefits there are no motivation to do the call which leaves you with no conversions. This is the page where I get my inbound calls, notice how remind them of how useful the call should be regardless of the outcome. Full breakdown of a great demo application page later in this article. There is little we can do to get around the huge time commitment demos can be for your visitors so the only thing we can do it’s try to make it seem less of a commitment. There are 3 main (easy) ways to do this. If someone feels the call will be valuable regardless of the outcome they won’t feel the pressure that they will be sold throughout the entire call. People hate being pitched so if they don’t feel it will be valuable they won’t convert, especially the customers with the highest lifetime value (as they are being pitched even more often). We know that you can’t sell 100% of your calls but you can save your time by pre-qualifying people using your a great application process as I will teach you below. 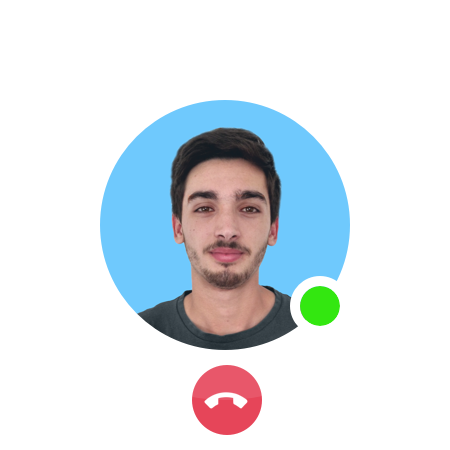 I wouldn’t do this if you are experienced in making good funnels as you might risk not converting anyone but regardless it’s a great way to reduce the call time for both you and the potential customer. Send message!? Don’t try to be too creative in terms of what your CTA copy should say. Different scenarios might use some special copy but it’s usually better to stick with something simple and easy to understand just so you don’t run the risk of people not understanding what you are offering them. Good examples of CTA copy. Now I’ll be breaking down this simple but effective demo page. Notice how many details go into such a simple page. All of these details compound to make for the best results possible. Luckily for you, you can just copy/follow this process! This is very common in the e-commerce world and it’s used to avoid people leaving the checkout process once they are in it and reduce the chances of customers second-guessing their buying decision. I’m all up for providing alternative CTA’s (as you read above) but now that people are considering converting you need to make them stick until the very end if you want to get some conversions. 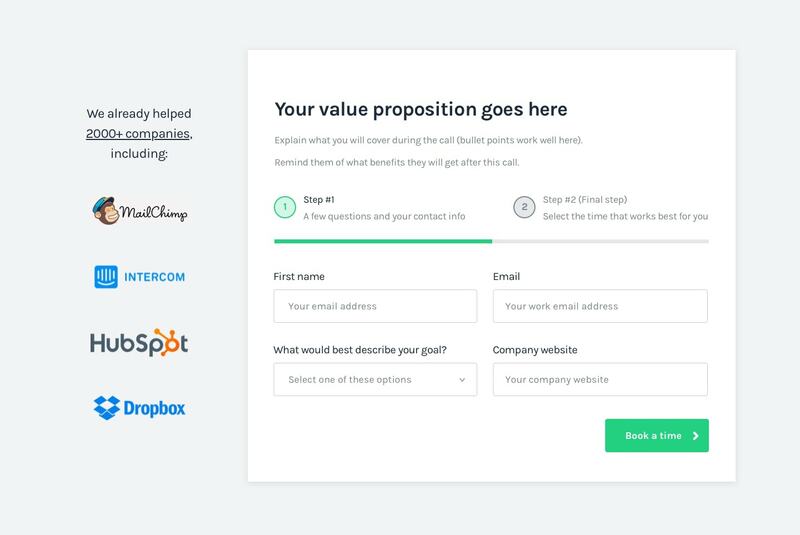 Use the title to remind them of your value proposition and give a glimpse of why the call should be useful. #3 - Make it seem it’s tailored for them. Use the text below the title to support the value proposition you wrote above and use some bullet points to showcase the value of this call. 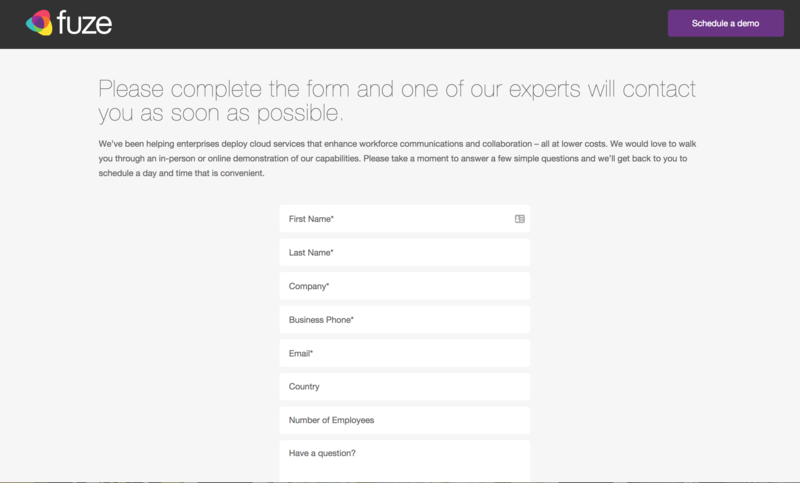 I see completely unnecessary fields on contact forms all the time...it’s almost like they don’t want to get leads! Remove anything that could lead to open questions, that is not a big priority or stuff that you can just ask on the call. Why increase the commitment to convert with these useless input fields? 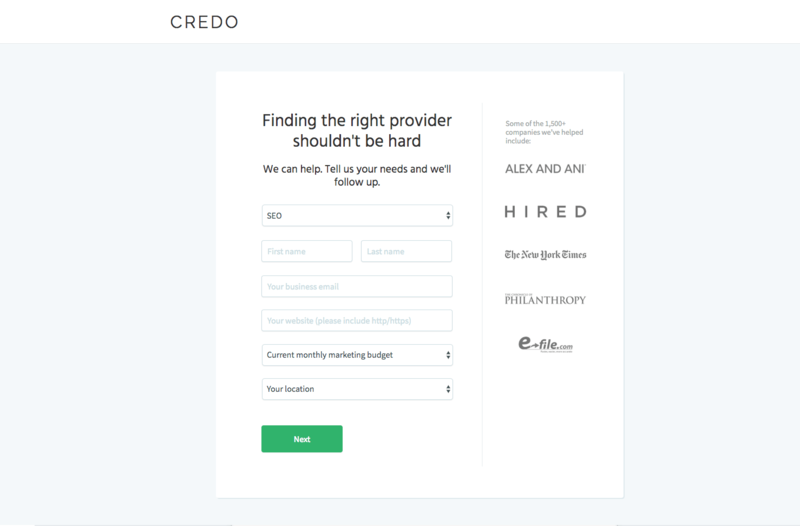 This is an example from Credo where you can tell that they have helped big companies before. If it worked for bigger or same sized companies, why wouldn’t it work for them? See the logic here? You can use some logos of familiar companies or testimonials from other customers as an extra boost in confidence that this could be a great call for your potential customers and that you have the authority to solve their problems. If your application process takes longer than one step you really should consider adding a progress bar to show exactly how far people are from getting their call. Simply by not knowing how close they are to the call they might fear that the process can take way too long. Following the same principles as the point above you should show your visitors what they will do in the next step of the application process so they know what to expect. As you can see from the design I gave several glimpses that you would be able to schedule the exact time right after you input a couple of data points in step 1. It’s super important to understand exactly what might be keeping you from getting more demos as 90% of the time you’ll at least one of these two issues. 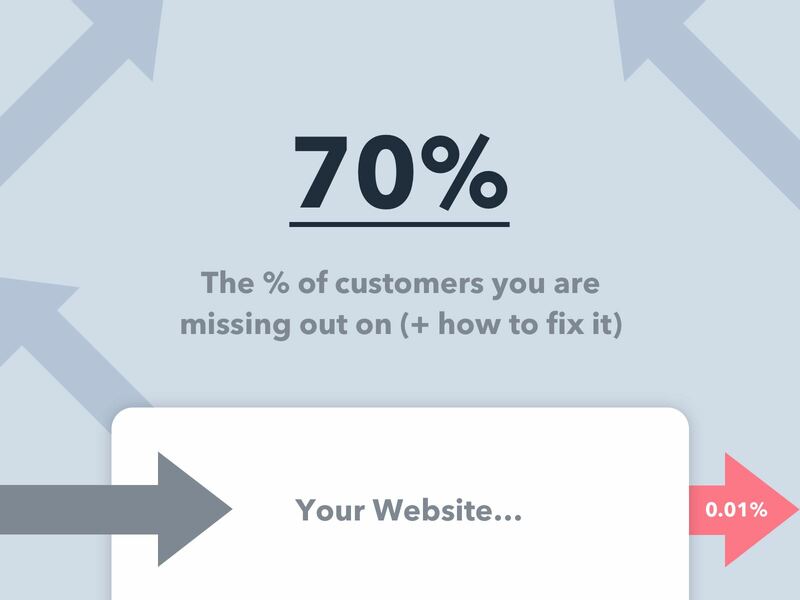 Issues #1: If you are getting a significant amount of people to this demo page but less than 10% convert then most likely there is something wrong with this page. 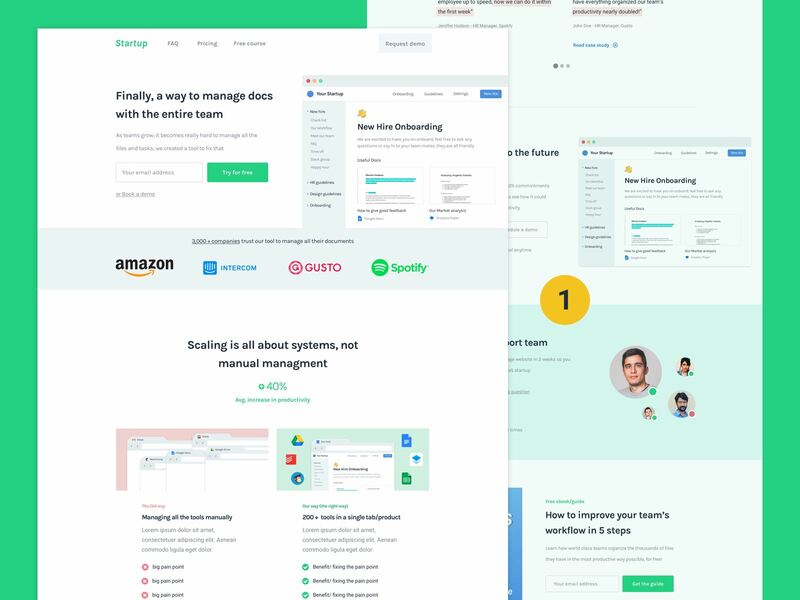 Issues #2: If you are not getting many people from a certain page to this demo page (example: Landing page -> Demo page) then you are not communicating the value of the call before they enter the page so most people don’t even get to it. 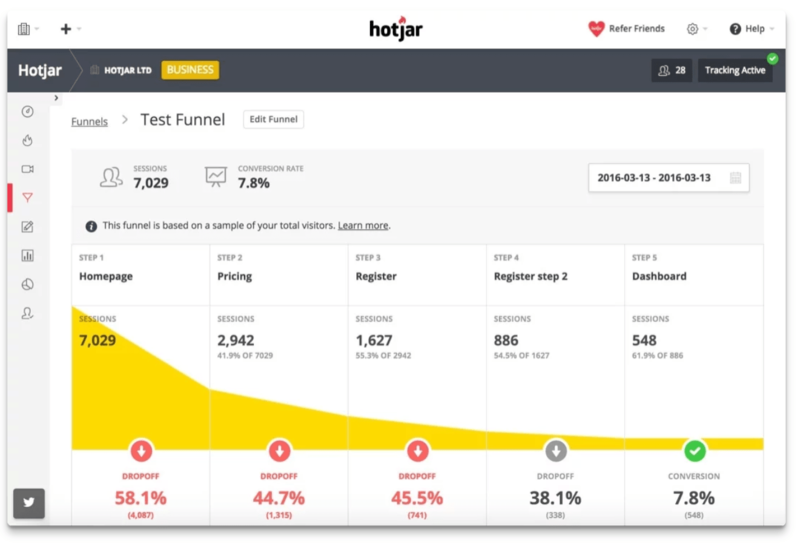 I recommend you use the funnel tool inside Hotjar (it’s easier and tracks the conversion of each input field for free) or use the less user-friendly funnel features inside Google analytics. Want to fill your calendar with qualified demos? The leads would be taken care of and you (or your sales team) can focus on closing! Why you might not be getting enough demos or customers from your website. What you need to improve to make your website acquire leads at scale. Figure out what is the best solution for you, regardless if you end up working with me or not (we also will discuss if there’s a fit). Want To See How You Can Get More Demos? Stop guessing why you are not getting a ton of customers with your website and let's see what's really going on. Marketing + Design Consultant helping SaaS companies explain and position their product so well that their website will sell it for them.